The original Mai Tai cocktail was created by “Trader Vic” Bergeron in 1944 and brought to Hawaii in 1953, where it was first served at The Royal Hawaiian hotel. Many have tried to improve on this recipe, which stands as the most revered and enjoyed of all Hawaii cocktails. Today, it is the signature cocktail at The Royal Hawaiian’s oceanfront Mai Tai Bar, which is known for vibrant tropical music and live local entertainment. The ideal setting to enjoy the Waikiki scene, the legendary Mai Tai Bar sets the stage for world-class romance and elegant relaxation. Just steps away from Waikiki Beach, it provides the perfect atmosphere to sip exotic handcrafted cocktails while soaking in breathtaking views of Diamond Head and the Pacific Ocean. Roll the shaker, pour in a large “bucket” glass. 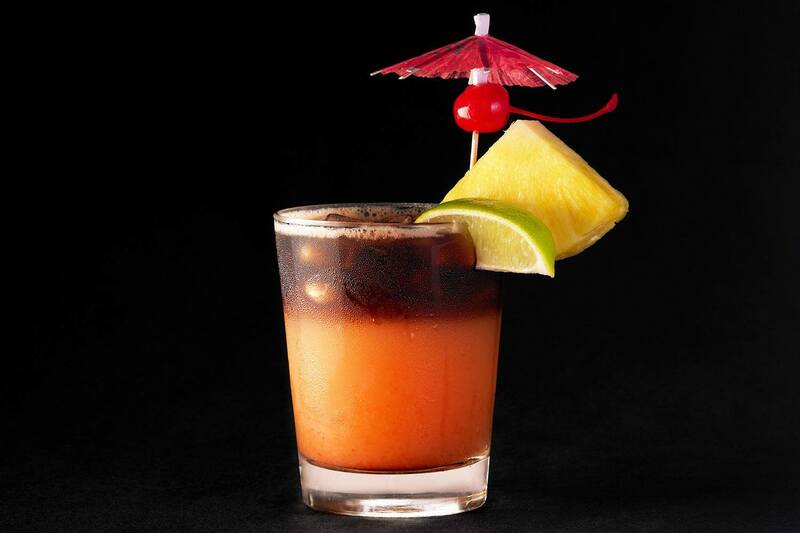 Float with Whaler’s Dark Rum, garnish with a parasol with cherry, pineapple and lime wedge.